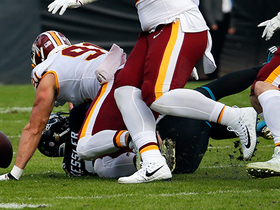 Analysis: Despite throwing just two interceptions on 131 pass attempts, Kessler has arguably been the worst quarterback in the league this season, producing 5.4 yards per attempt while taking 22 sacks and losing three fumbles. The Jaguars scored 45 points in his four starts, dropping off by 6.7 points per game from their average with Bortles under center. The team likely will focus on external options in the offseason, as it's evident neither Bortles nor Kessler is the long-term answer at the position. Analysis: Kessler got hurt after being driven hard into the ground by Dolphins pass rusher Robert Quinn. 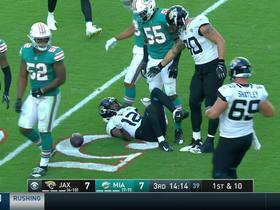 Blake Bortles replaced him for two plays, but Kessler appears set to return to the contest and play through the shoulder issue. 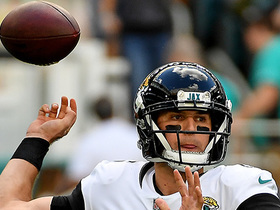 Coach Doug Marrone said he isn't thinking about benching Kessler for Blake Bortles ahead of the Jaguars' Week 15 matchup with the Redskins, Michael DiRocco of ESPN.com reports. Analysis: The Jaguars have scored just 15 points in Kessler's two starts, hamstrung by his inability to make accurate throws downfield. 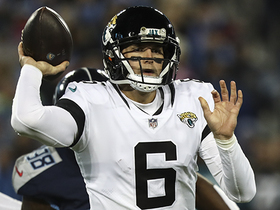 Of course, Bortles was a disaster in his own right for most of the season, and Kessler didn't receive much help from his teammates during Thursday's 30-9 to Tennessee. It is possible Marrone re-evaluates the situation if things don't improve after the Week 15 contest. Kessler completed 25 of 43 passes for 240 yards with a touchdown and no interceptions in the Jaguars' 30-9 loss to the Titans on Thursday. He also rushed five times for 17 yards and lost a fumble. Kessler completed 18 of 24 passes for 150 yards without a touchdown or interception and rushed five times for 28 yards in Sunday's 6-0 win over the Colts. 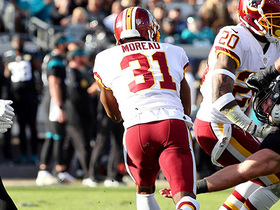 Analysis: Kessler avoided any major mistakes and did just enough to win in a game that saw neither team find the end zone. He left to get checked for a concussion at one point, but got the all-clear to return. While the defense is largely responsible for this win, Kessler likely did enough to maintain Jacksonville's starting quarterback job for Thursday's Week 14 clash with the Titans over benched alternative Blake Bortles. Kessler will replace Blake Bortles as the Jaguars' starting quarterback for Week 13 against the Colts, John Oehser of the team's official site reports. 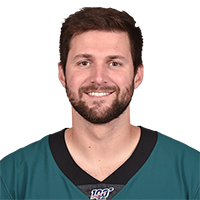 Kessler will get reps with the first-team offense in practice this week, but the Jaguars will stick with Blake Bortles as their starter for Sunday's game against the Eagles in London, Adam Schefter of ESPN reports. Analysis: Kessler failed to impress after replacing Bortles in the third quarter of Sunday's 20-7 loss to the Texans, completing 21 of 30 passes for 156 yards with a touchdown, an interception and four sacks. The Jaguars aren't quite ready to make a change, but there's real risk of another in-game substitution if Bortles struggles during the London game. The team may also reassess the situation during a Week 9 bye. Kessler completed 21 of 30 passes for 156 yards, a touchdown and an interception while adding eight yards on two carries in Sunday's 20-7 loss to the Texans. Analysis: Kessler inherited a 20-0 deficit in the third quarter after replacing an ineffective Blake Bortles. 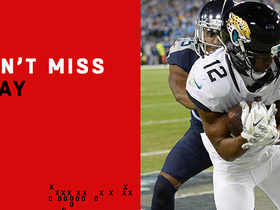 He was able to get a touchdown back with a six-yard pass to T.J. Yeldon on a play that was reversed after originally being ruled an illegal forward pass. Unfortunately for Kessler, he was later picked off on a pass that bounced off Yeldon's hands. Despite outplaying Bortles here, Kessler will likely be back in a backup role when the Jaguars travel to London to face the Eagles in Week 8. Kessler completed 14 of 17 passes for 139 yards and a touchdown in Thursday's preseason loss to the Saints. 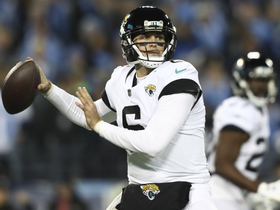 Analysis: Kessler looked quite good in relief of starter Blake Bortles, and he is all but assured of serving as the Jaguars' No. 2 quarterback in 2018. Rookie sixth-round pick Tanner Lee remains the only other quarterback on the roster, which speaks volumes about the team's confidence in Bortles. The Browns agreed Wednesday to trade Kessler to the Jaguars in exchange for a conditional seventh-round draft pick in 2019, Adam Schefter of ESPN reports. The Browns likely will try to trade Kessler, Ian Rapoport of NFL Network reports. Kessler made three appearances in 2017 and completed 11 of 23 passes for 121 yards with no touchdowns and one interception. Kessler was on the field for seven plays in replace of DeShone Kizer (ribs) and completed 1 of 3 passes for five yards during Sunday's 38-24 loss to the Lions. Analysis: When Kizer left the game with a rib injury, Kessler was called on to replace the rookie, though the former USC quarterback ultimately failed to move the ball as well as his teammate. He was sacked three times during his seven plays of action while completing just one pass. Kizer is confident he'll be able to suit up Sunday against Jacksonville, meaning Kessler will once again be destined for backup duties. 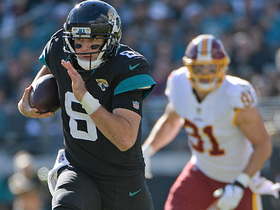 Jacksonville Jaguars quarterback Cody Kessler rushes for a 21-yard gain. 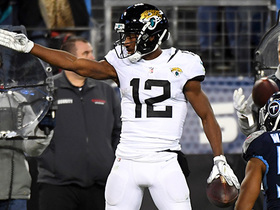 Jacksonville Jaguars quarterback Cody Kessler throws a 23-yard pass to wide receiver Dede Westbrook. 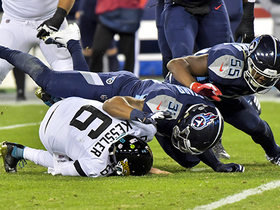 Tennessee Titans defensive tackle Jurrell Casey and linebacker Sharif Finch sack Jacksonville Jaguars quarterback Cody Kessler.